Dichroic glass is carefully selected for quality and color depending on the result the artist is trying to obtain. 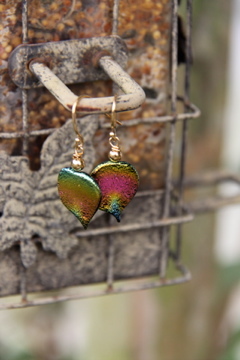 Our dichroic glass jewelry and art glass jewelry is only made from the finest materials and each piece is carefully kiln annealed for strength and durability. The firing process, which is sometimes repeated several times, is the most important stage of creating the item and I do this with great care to ensure strength and durability for every piece. Each piece will last a lifetime, provided it is not overly abused. Watch for our exciting product line expansion.